"Ava fell in love the night the Nazis first showed their true nature to the world…"
A retelling of the Grimms’ Beauty and The Beast, set in Nazi Germany. It’s August 1939 in Germany, and Ava’s world is in turmoil. To save her father, she must marry a young Nazi officer, Leo von Löwenstein, who works for Hitler’s spy chief in Berlin. However, she hates and fears the brutal Nazi regime, and finds herself compelled to stand against it. Ava joins an underground resistance movement that seeks to help victims survive the horrors of the German war machine. But she must live a double life, hiding her true feelings from her husband, even as she falls in love with him. Gradually she comes to realise that Leo is part of a dangerous conspiracy to assassinate Hitler. As Berlin is bombed into ruins, the Gestapo ruthlessly hunt down all resistance and Ava finds herself living hand-to-mouth in the rubble of the shell-shocked city. Both her life and Leo’s hang in the balance. 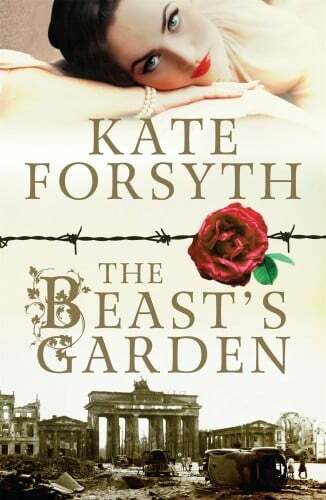 Filled with danger, intrigue and romance, The Beast’s Garden, a retelling of the Grimm brothers’ ‘Beauty and The Beast’, is a beautiful, compelling love story set in a time when the world seemed on the brink of collapse.